100% of your donation will financially support families staying at the Philadelphia Ronald McDonald House (PRMH) that are undergoing fetal treatment or neonatal care. These are the words expectant parents never want to hear from their doctor, yet are heard by an estimated 4,000 parents in the US every day when they receive a fetal diagnosis*. In 2016, we became one of those families. We were 20 weeks pregnant with our daughter, Noelle, when our baby was diagnosed with a rare, life-threatening fetal condition called Hydrops Fetalis. In an instant, a pregnancy once full of joy and excitement was turned upside down by this news. Our playful debates about nursery paint colors had abruptly shifted to tearful conversations about treatment options and specialist care. Even more overwhelming than the moment we were given the diagnosis were the physical, emotional, and financial roads that lay ahead of us. 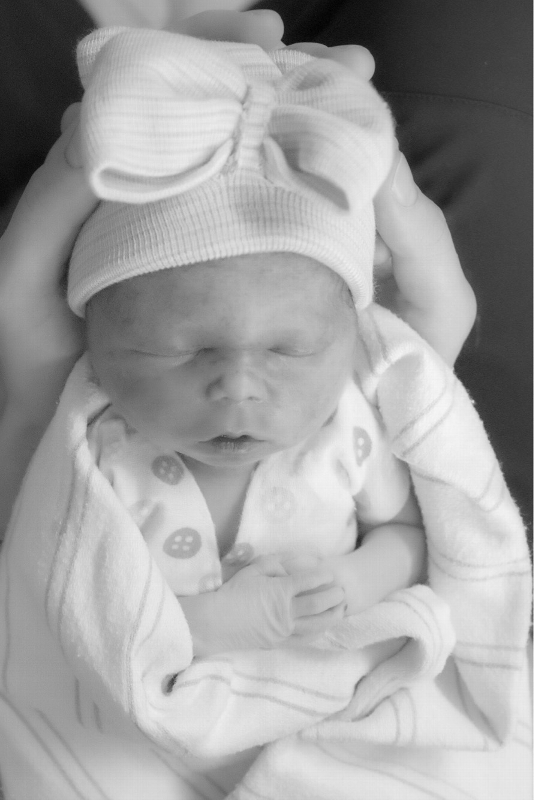 We spent over two months leading up to Noelle’s birth seeing countless specialists and undergoing multiple in-utero fetal surgeries requiring overnight hospital stays. We traveled back and forth, many times per week, to Children’s Hospital of Philadelphia from our home in New Jersey. This journey required extended periods of time off of work, while racking up nearly $7,000 in out-of-pocket expenses along the way. The thing is, parents will do anything to save their child, even if it means dealing with the financial consequences later. Unfortunately, a fetal diagnosis and the journey afterwards is unsympathetic to a family’s financial circumstances. They need your help today. Please make a gift that will alleviate the financial burden felt during what can be the most difficult time of their lives. According to the Federal Reserve, 40% of adult Americans, if faced with an unexpected expense of $400+, would either not be able to cover it or would cover it by selling something or borrowing money**.The costs associated with a fetal diagnosis are often many multiples of that figure, leading to serious financial distress on top of the physical and emotional mountain they are trying to climb. Noelle Philomena Laughlin was born and died on December 13, 2016. Her life has inspired us to light a path of hope and support for other families. Please join us in that effort. On Noelle’s first birthday in 2017, we formed Noelle’s Light, a New Jersey non-profit organization whose mission is to provide financial support to families facing a fetal diagnosis so that their sole focus can be on the health and well-being of themselves and their child. On Noelle’s second birthday, this December 13, 2018, we further this mission of hope for these families by partnering with the Philadelphia Ronald McDonald House (PRMH) to establish the Noelle’s Light Family Support Fund at PRMH (“The Fund”). 100% of your donation to the Noelle’s Light Family Support Fund at PRMH will provide need-based financial assistance to families staying at the Philadelphia Ronald McDonald House that are receiving fetal treatment or neonatal care in Philadelphia, up to $2,000 per family. The Fund will directly pay non-medical bills of families with an expressed need. Examples of these bills include travel costs (flights, parking, rental cars, gas, tolls), home bills (utilities, rent, mortgage payments), childcare, and funeral costs. 1. Donate today! Your donation will help alleviate the financial burden felt by families fighting for their babies’ lives. 2. Engage your networks, share our story campaign. Share this page via Email or Social Media is easy using the icons in the left tool bar. If using Social Media, include the hashtag #NoellesLight. Philadelphia is one of the worldwide leaders in fetal medicine and neonatal care. Since 1974, Philadelphia Ronald McDonald House has served a vital role in supporting these patients and families while they are receiving nearby treatment at Children’s Hospital of Philadelphia (CHOP), Shriners Hospitals for Children, and St. Christopher’s Hospital for Children. Over this 44 year span, Philadelphia Ronald McDonald House has provided housing, food, companionship, and support to thousands of families with seriously ill children, or in the case of “fetal families”, soon-to-be born children. The Philadelphia location was the first Ronald McDonald House and now serves as the model for over 365 Houses in 43 countries. Their mission of supporting these children and families aligns beautifully with the mission of Noelle’s Light, and we are honored to be partnering with them to establish the Noelle’s Light Family Support Fund at PRMH. Noelle’s Light is in the process of obtaining their 501(c)3 tax-exempt status. All donations to this campaign go to The Fund established at Philadelphia Ronald McDonald House and are tax deductible through PRMH. For more information about Noelle’s Light and our campaign with Philadelphia Ronald McDonald House, please contact Alex and Jodi Laughlin. We would love to hear from you!